Born in Brechin, Scotland on 30 August 1802, he graduated from King’s College Aberdeen in 1819. He first tried to find a career in London, then came to Canada in 1832 to make his way in journalism. He published several important pamphlets and, from 1836 to 1838, he was editor of the Montreal Herald. Thom’s mind was that interesting combination of radical sentiments and acceptance of the prevailing climate of opinion, a sure-fire formula for reactionary positions. In 1836 he attacked the French-Canadian party in the legislature in a pamphlet called Anti-Gallic Letters. He began to read law, and he was called to the bar of Lower Canada in 1837. At first a critic of the Durham mission, Thom became a secretary to Lord Durham and an advisor on the famous Durham Report. At least one obituary claimed that Thom was responsible for most of Durham’s document. While in London Thom met George Simpson, who offered him the job as Recorder of Rupert’s Land. He arrived in Red River to take it up in the spring of 1839. His eyesight was bad, his French virtually non-existent, his knowledge of the law was dubious and his attitude toward ethnic minorities was not good. Moreover, Thom saw himself as an advocate for the Hudson's Bay Company. In his court he ran roughshod over the constitution of the settlement, hanging an Indian in 1845 despite the Act of Parliament requiring all capital cases to be tried in Canada. In 1843 he heard a lawsuit against him brought by Anne Rothney, one of his own servants, and refused to order the jury’s verdict against him. His most notorious cases were the Sayer trial and Foss v. Pelly. In the first he lost the confidence of the Francophone community, in the second the confidence of the Anglophone. On the positive side, he did prepare in 1851 an extensive report on the state of the law in Red River. 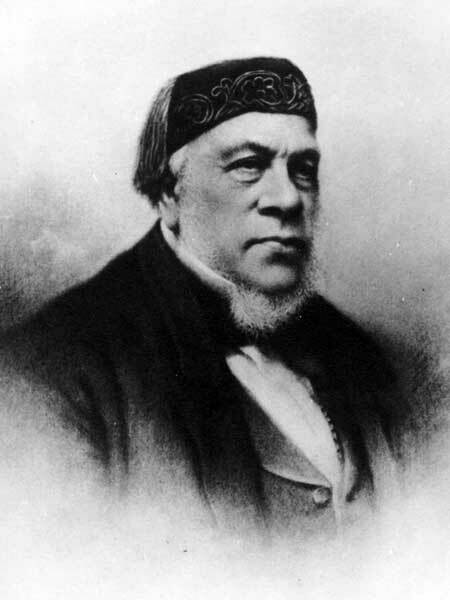 He remained in Red River for four years after his replacement as judge, and then in 1854 retired to Edinburgh. He died in London on 21 February 1890. A prolific author and controversialist, he wrote Letter to the Right Hon. E. G. Stanley, secretary of state for the colonies, by an Emigrant (1834); Remarks on the Convention and on the Petition of the Constitutionalists, by Anti-Bureaucrat (1835); Review of the Report made in 1828 by the Canada Committee of the House of Commons (1835); Anti-Gallic Letters, Addressed to His Excellency, the Earl of Gosford, by Camillus (1836); The Claims to the Oregon Territory Considered (1848), and Chronology of Prophecy (1848). He is commemorated by Thom Avenue in Winnipeg. “A Scandal at Red River” by Dale Gibson, The Beaver, 70, no. 5 (October/November 1990): 30-38. Adam Thom, Dictionary of Canadian Biography XI, 874-77.